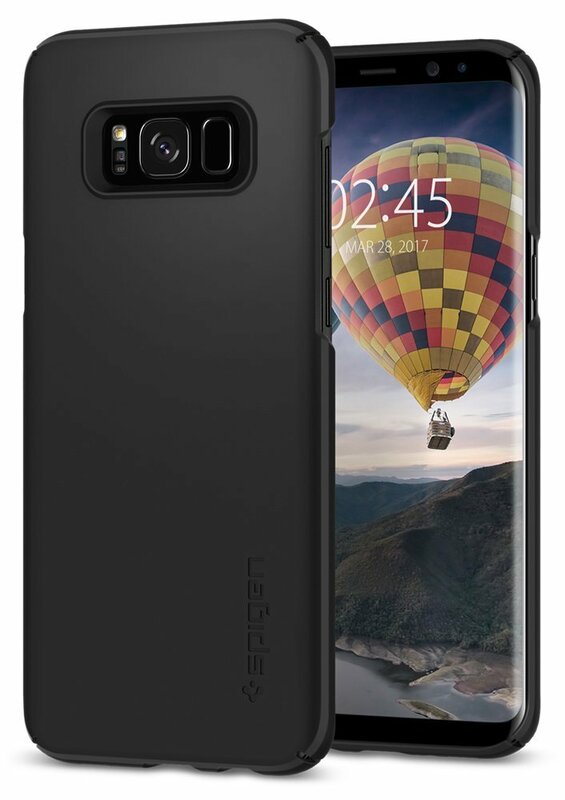 Many of you may have already pre-ordered your Galaxy S8 and might be searching for the best Galaxy S8 cases online now. Given that your new flagship smartphone is due to arrive in a couple of weeks, we’ve put together a list of what we think are the best Galaxy S8 cases available now. You can go ahead and order them by clicking on the links provided below so that the cases arrive just in time for you to start using them with your new handset. First up, we have a $9.99 case from the Tessera KEVLAR series. With its slim forming fit and carbon fiber TPU back case, it provides a Kevlar-like feel to this case. Manufactured using premium high-grade thermoplastic polyurethane and plycarbonate frame bumper, it provides protection without adding unnecessary bulk. Like it? Buy it now. Spigen is one of the most well-known manufacturers of mobile cases. Its new Liquid Crystal Galaxy S8 has a thin minimal design which shows off the Galaxy S8. The transparent backing can also be used for customization. The TPU material is flexible which makes it very easy to insert and remove the handset from the case. Priced at $10.99, it’s now available for purchase. SUPCASE has come up with a rugged three-piece holster case that’s made of highly protective polycarbonate. It has textured edges for easy grip and allows complete access to the handset’s functionality while also providing a good amount of protection against bumps and bruises. It’s a bit more expensive than the others at $17.98. Buy it here. Last but not the least, we have the Maxboost Wallet Case for the Galaxy S8. 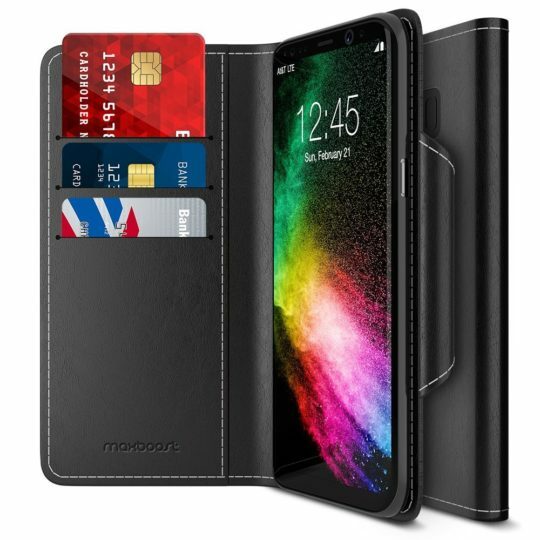 Crafted from PU leather, it’s great for multi-functional use as it has 3 card slots, a side pocket for money and additional cards and a magnetic lock. The case has precise cutouts for speakers, cameras and all other functional ports. The case can even switch to a horizontal position and act as a stand. You can buy it now for $12.99. 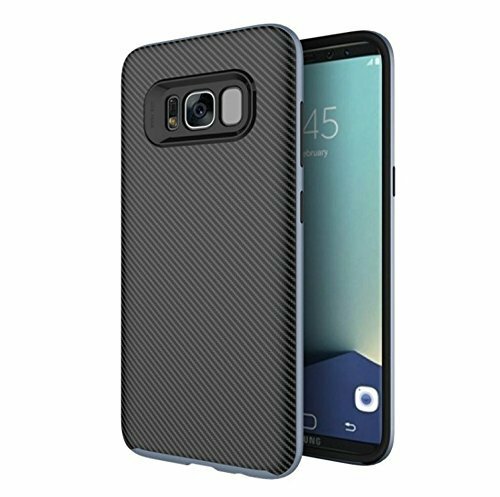 There are certainly going to be countless options for the best Galaxy S8 cases list but these cases cover the basics, they offer what most customers will be looking for. Ordered one? Let us know in the comments below. Missing a lot of good cases. For me the Premium design (and expensive) Defense Shield with metal anodized bumper has the quality that suits this phone. 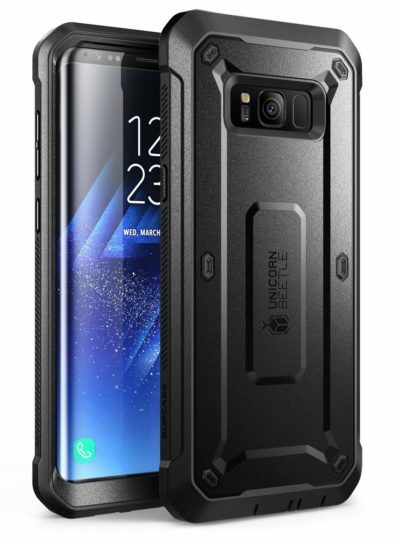 I don’t get it… Everyone complained for “cheap plastic design and cheap look and feel” of pre Galaxy S6 phones, and now when plastic is gone, some people feel urge to put their phone in ugly plastic case… “Protection” argument is invalid. Gorilla glass + common sense not to throw your phone and it looks like fresh purchased for two years at least. I’m gonna order an S-Line case from eBay for $1. UAG- Cases all the way.Love the plasma series and the new monarch for my s8+. I have a couple of Spigen cases for my S6 edge+ and they are very good, but I keep going back to the Clear View case, because it just makes the phone look stunning while keeping it protected. My S8+ one has already arrived, and has added protection and doubles up as a stand. 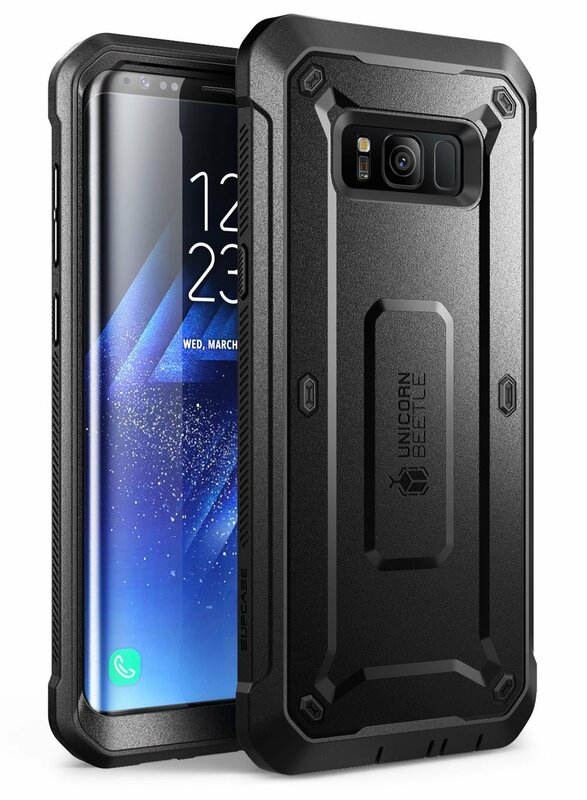 Which case did you get for the S8+? I’m still undecided and don’t want to add any bulk to this beautiful work of art. Spigen Liquid Crystal – Clear, just to see how it fits and if it takes much away from it. Probably use this case when out in the hills etc. 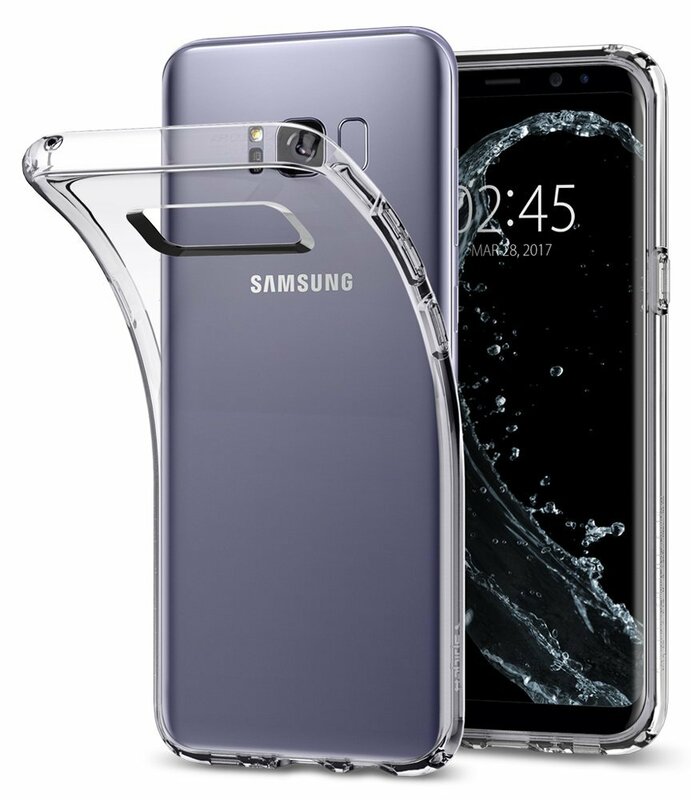 Official Samsung Clear View and Stand cover. The stand cover actually has added protection from previous versions because the stand part is an added magnetic covering. its pretty cool and sturdy. and unlike previous gen ones, only the front panel is “Clear View” the back is now solid. Will use this case day to day, at work.